The Central Wheatbelt Visitor Centre stocks a wide range of local products including arts and crafts and produce from the Wheatbelt Region. Please see below for the range currently in stock. The Central Wheatbelt Visitor Centre retails an excellent range of publications including Wheatbelt history, Natural history, Wildflowers and Children’s books. View the complete list of books in stock. Corporate & gift hampers featuring local Wheatbelt produce. Made to order. We stock a range of Merredin merchandise including postcards, pens, hat pins, spoons, key rings, thimbles, cloth badges, magnets, stickers, stubby holders, coasters and hats. Produced by Santaleuca Forestry, near Narembeen. The range available includes Sandalwood nuts, shavings and nougat. Visit www.santaleuca.com.au for information on the plantation. range includes White Gum & Hakea, Mallee and Goldfield Mallee blends. A range of turned timber products from local and WA timbers has been sourced from Bruce Rock retiree, Bruce White. The range includes timber bowls, platters, rolling pins and coat or hat racks from timber and railway dog-bolts. Locally produced Olive oil from Corrigin Market Garden can be purchased from the visitor centre. A wide range of necklaces, earrings and bracelets are available, made by Merredin Resident Sally Thompson. Photocards and Matt Boards by Lake Grace photographer Michelle Dunham. 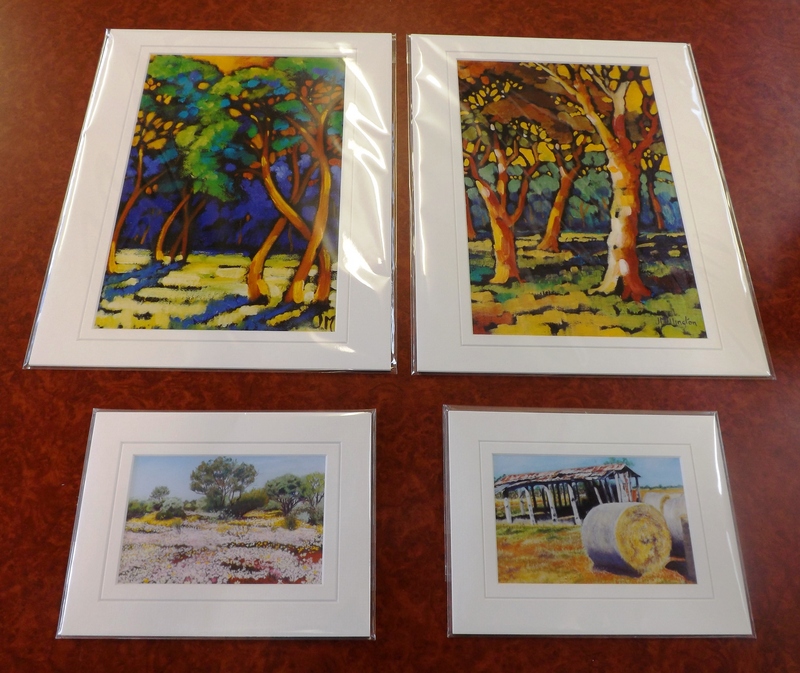 The Merredin Fine Arts Society has had their work produced onto mounted prints. 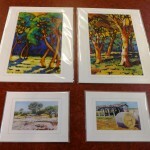 We have a selection of their beautiful pieces here for sale varying from $18 – $35. A wide range of Tin Vintage advertising signs made by Tin Ranch Merredin. Size 20cm x 15cm. 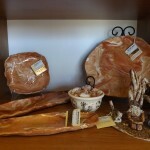 Wheatbelt pottery is made in Merredin WA by local potter Barbara Greaves. Barbara’s extensive pottery skill has evolved over the past 40 years into a unique style. Most of the clay is sourced locally from the earth in and around Merredin, sometimes the clay is combined with clays from the Northern Wheatbelt to produce amazing results and colour ranges. 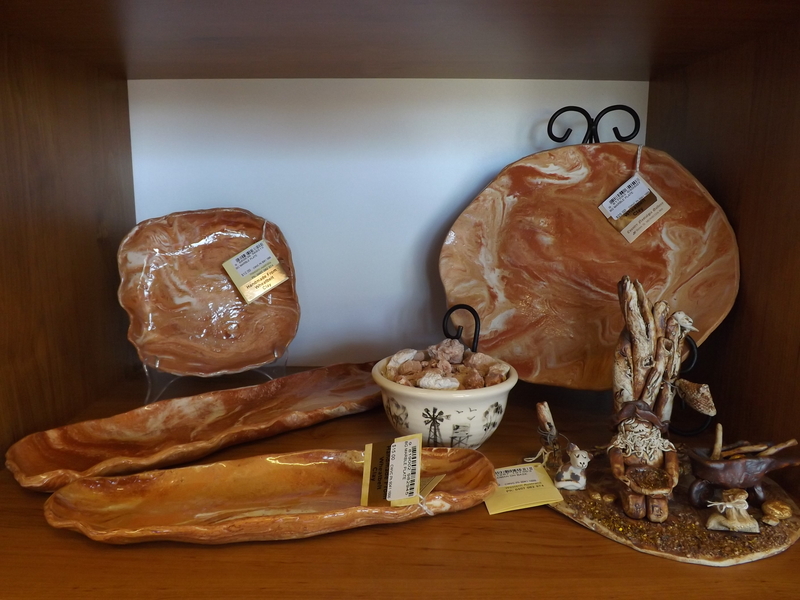 Barbara has also developed a range of stoneware, glassware and terracotta work which is glazed in majolica and hand painted in Wheatbelt colours and themes. The pottery is made on the wheel and by hand.